In November 2012 we started a series tracking the Yiddish song Tumbalalalaika around the world, sharing versions performed in Amsterdam, Milan, Russia, and Belarus. 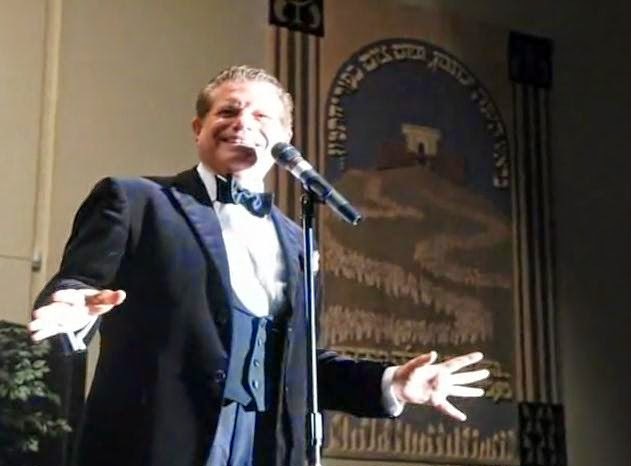 In 2009 Yiddish actor and singer Mike Burstyn performed the song at Kehilath Israel Synagogue in Overland Park, Kan. The concert was one of a series of events celebrating the traditional synagogue's 100th anniversary. Burstyn presented the song in the form of a Yiddish lesson, by translating the song from Yiddish to English. Bur judging from the audience reaction, they didn't need much translation. The sound quality was so poor, that it was hard to understand what the words were, so unfortunately, this didn't get to be a Yiddish lesson for me.